The Photographer’s Ephemeris (TPE) for Android helps you plan outdoor photography shoots. TPE is a map-centric sun and moon calculator: see how the light will fall on the land, be it day or night, for almost anywhere on earth. Ideal for landscape, nature, travel and outdoor photographers, TPE’s map-based approach means you can search for any place name on the planet or position the map pin exactly where you want it. 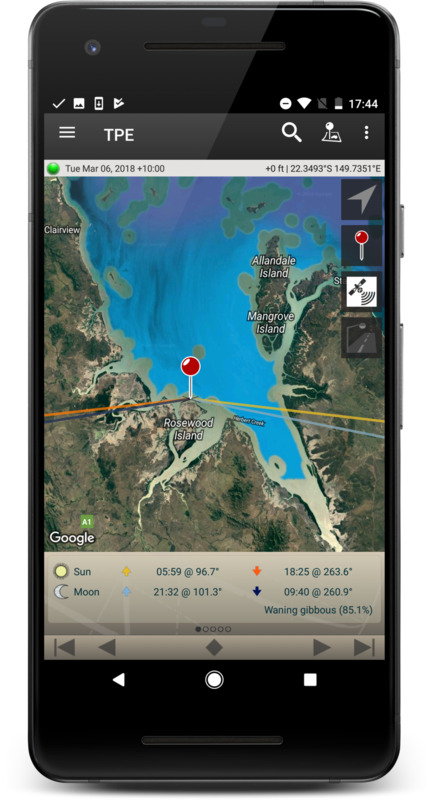 TPE for Android offers a simpler user experience than our more advanced apps, focussing on the key things you need to know for effective shot planning: the direction and timing of the sun and moon. Despite the apparent simplicity of use, TPE for Android still packs plenty of more advanced features to explore, including offline maps, light pollution, geodetics, horizon adjustments and more.